Robert is a freelance writer and has experience rehabilitating a baby sparrow. To begin, I should mention that it is illegal to keep a wild bird in captivity. Given that and the enormity of the challenge, it is always best to seek out an animal shelter or rehabilitator, and surrender the bird for proper care. With the disclaimer out of the way, I will also say that your success in finding such a place may depend upon the type of bird you have found. Being as ours was a common house sparrow, considered a nuisance bird by most communities, I was not able to find anyone willing to take the little guy in. Nuisance or not, he was still one of God's creatures, and we could not leave him to die. The following is our experience in raising the featherless little nestling. Hopefully, it will inform, entertain, or otherwise amuse you. My wife actually found the sparrow on the playground of the daycare, at which she teaches. The nest had been overturned, and he was the only survivor. He was in danger of being trampled by the excited toddlers, just as his nestmates had been.She quickly scooped him into a shoebox, with a towel to keep him warm, and took him inside. With the entire nest being destroyed, we were convinced that the mother would not have returned. We have since learned differently. Upon speaking with experts, we learned the correct way to approach the situation, if we were to encounter it again. If you find a baby bird on the ground that has feathers, do not touch it unless it is in immediate danger. This is a fledgeling, and has likely left the nest in its first attempt at flight. If it is in danger, you should put it on a branch, or under a bush, away from danger, and clear the area. If you have a cat, it would be wise to keep it inside for a day or two, until the bird is strong enough to fly to safety on its own. If you find a bird that has no feathers, this is a nestling, and has probably fallen or been knocked from the nest. Barring any immediate danger, you should leave it alone, and clear the area. If the mother is going to return for her baby, she will do so within 20-30 minutes. She will not return, however, as long as there are people or animals in the area. If the baby appears to be in danger, you can return it to the nest. It is a fallacy that a mother bird will reject a baby that has been handled by humans. If you cannot find, or reach the nest, you can simply place the bird away from danger, on a branch near the spot where you found it. Once you have removed the baby from peril, watch it for about 30 minutes. If after that time the mother has not claimed her nestling, you may begin the rescue process. We did eventually find a shelter, but they told us it was too late. It seems that imprinting occurs within the first week of life, and if released, our bird would not be likely to thrive. As I understand it, this basically means the bird has accepted us as its family, and has become dependant upon us. It is possible to raise more than one bird for release, without fear of imprinting, but a single bird will always imprint upon you. Now is the time to start trying to locate a shelter. There are dozens of raptor rescue agencies in my area, but the sparrow doesn't seem to get much love. In either case, the baby is going to need shelter and food. For shelter, we used a cardboard box. In the bottom of the box, we placed an electric heating pad, set on low. The preferred temperature is around 90 degrees Fahrenheit, but the heating pad worked fine. On top of the heating pad we placed a hand towel, to temper the heat. On top of that, was another towel, formed into the shape of a nest. The box should be large enough to allow some space around the nest. This is because the bird will not eliminate waste inside the nest. It will instinctively back up to the edge of the nest, and drop it outside. The heating pad is only required until the bird has grown all of its feathers. The first sign that we noticed was that he seemed to be panting like a dog on a hot day. After removing the heating pad, we kept an eye on things for signs of distress. As for feeding, the bird will need an hour or so to get used to its new surroundings. After that, it will need to be hand fed every 20 minutes, for about 12 hours out of the day. If he is reluctant to accept food from you, try gently tapping on the top of his beak as a sign to open up. He should recognize you as a source of food within a few feedings. It may be difficult to find baby bird food specifically for wild birds, but the commercially available hand feeding formulas for domesticated birds worked fine for us. There are clear and easy to follow instructions for mixing and feeding right on the label. Give him all he wants. You cannot overfeed him. He will simply stop taking food when he has had enough. Do not be alarmed if, while feeding, you notice a lump forming on his throat. This is called a crop. It is where he stores the food before it is digested. It should be noted that you must NEVER give water to your baby bird. It will get all the water it needs from the formula. If you try to get it to drink, there is a very good chance it will drown, or get pneumonia. The photo at the top of this hub, is of our bird telling us that he is hungry. Basically, this involves a shrill chirping, while "gaping". Get used to this, as it happens several times every hour. Continue to follow the feeding instructions on the formula, until he is ready to wean. As his feathers begin to grow, he will require fewer feedings. Every 45 minutes for partially feathered birds, and about every hour for fledgelings with all of their feathers. At around 4 weeks of age it is safe to start leaving small bits of food around the nest. The bird should start to eat these on its own. As it gets used to feeding itself, it will take less food from you. He should be completely weaned by 6-8 weeks of age, and will not take much food by hand at this point. Once it has been self-feeding for three or four weeks, it may be transitioned to an adult diet, which consists mainly of insects, and seeds. We started with bloodworms, which we chopped into small pieces, and he loved them. Avoid mealworms, as they have a shell that is difficult to digest. When you notice that your bird is hopping up onto the edge of his box to be fed, it is time to consider a more permanent shelter. In general, the larger the cage, the better. He will be wanting plenty of room to develop his flying skills. Bar spacing is of utmost importance. The space between the bars should be less than a half inch. This will minimize the chance of his head becoming stuck between the bars, which could result in strangulation. If you have more than one nestling, you should not handle them unless it is absolutely necessary. This will allow them to imprint upon each other, and it is more likely that they will be able to be safely released. We, however, had just one. Since he could never be released, he easily became a happy member of our family. We handle him regularly, and he enjoys playing with us. We do try to maintain a healthy diet, but he will simply not allow me to open a bag of cheese curls without giving him the first one. He also occasionally enjoys a few rice crispies. Below are a few photos of our sparrow (his name is Drumstick) at various stages of his early life with us. In the first one, I have put a quarter in the picture for perspective. Today, Drumstick is about 5 years old and is happy and healthy. As I understand it, he may live to be 15 or 20 years of age. As I have already said, this is an enormous undertaking, and should only be attempted if you have no other choice. 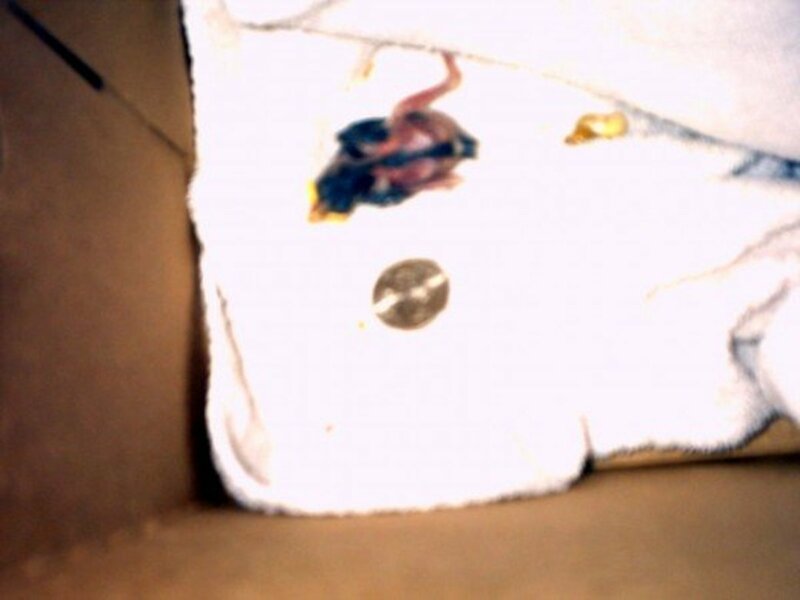 I have also been told by some experts that it is rare for a featherless nestling to survive such a rescue. They generally die in transit or fail to thrive in a new home. With that in mind, while praying for the best outcome, you should be prepared to accept a less than happy ending. That time in our lives has come to be known, by us, as the year of the bird. We encountered about half a dozen baby birds throughout that spring. Armed with our new knowledge, we were able to reunite most of them with their mothers. One, however, was never reclaimed. It was a baby crow. That one required a feeding, and a 60 minute drive to an area shelter. Following up a couple weeks later, we were told he was fine, but he would never be released. He was a single bird who had no choice, but to imprint upon the rehabilitator. If you have ever heard the boistrous caw of a crow, you will understand when I say better her, than us! My cat brought in a baby-fledgling blackbird. This bird has grown a bond to me and follows me everywhere, well hops. We have had him only a couple of days and he seems to not be able to fly, tho he hasn't broken bones as he has got strength in them and flaps and all of that. We have been feeding him berries (softer ones), moist cat food and some seeds. He seems pretty chil with us for now and we keep him in a old hamster cage (quite big) with branches in. If he does not seem to fly or close to flying by the end of the week we will bring him to a wildlife center. Ngl, with this bird coming in its good for me in a way as i'm 16 now and going to an animal college in september, so i get to observe this bird and see its behaviours and all. Found a nestling November 2018, was not able to put it back, nursed it by spoonfeeding pronutro. 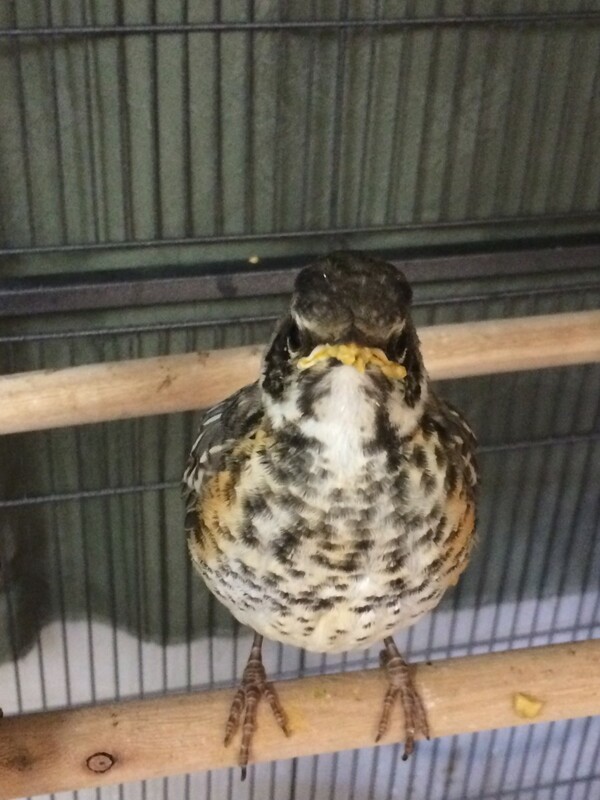 Put it in cage, later on it was free in the room and we took it out reglarly.In February 2018 we let it loos in the backyard where other birds roamed. We put the cage on a table. It come and go freely. Went in the trees coming back every now and then and in the evening took it inside. It was fond of us and ate porridge out of my mother's bowl. let us kiss it and hold it.The 5th of February it was there till three o'clock more or less. Since then it had not come back to the cage specifically. perhaps it is with a flock of birds. It used to sit with us , not scared of humans. We trust it is happy , but we are also sad. You can feed them baby food meat in the jars you buy at the store. I feed mine beef and ham. I use a teeth whitening syringe with the long thin tip. Great article! About 4 days ago I found a sparrow nestling, mostly bald with some pins on its wings and a stripe of them down its back. I couldn't reach the nest (aprox. 30 ft up) so made a homemade one in a small basket and secured it hig as I could. The bird was an the ground again the next day ao I took ir in. After the r days it was looking fully feathered with only small remnants on partial quills on tail. Took her outside today for air and it jumped off my hand and hopped into the bushes. I've seen her several times perching on the brush nut can hear her crying out. It is now dark and she won't let me catch her. Shewas still eating with tweezers. What is the likelihood of this bird making it on its own? I'm worried! Iv'e always loved birds, when I was little I'd sing to them and they'd stop and listen on trees. Then they sing to so they can show they're better! Lol they like my horrible violin playing though. They think it's interesting. One day I found them in a cluster, then they flew away when they saw me. A baby bird that looks like yours was there! I picked her up and put her in a huge bird cage I bouht yesterday because it seemed pretty and useful and it was. Now she's hopping around and chirping when she sees me. 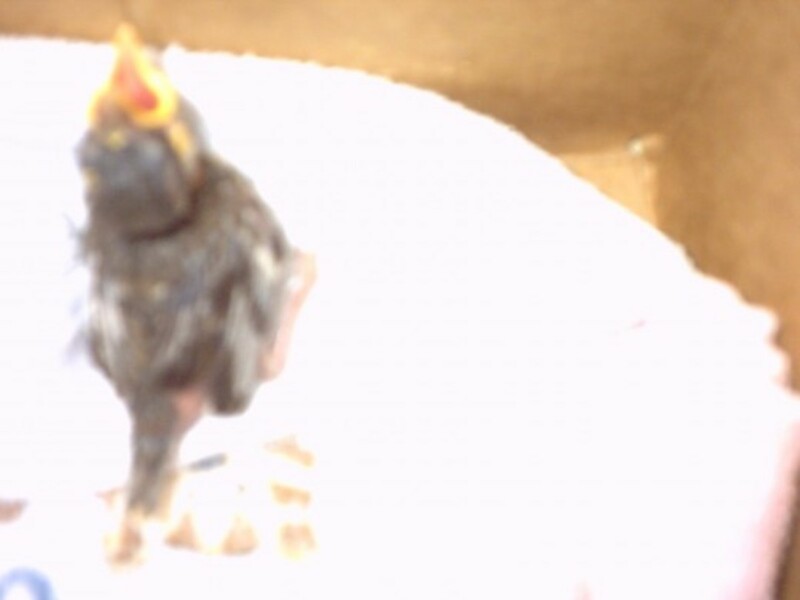 Thanks for your experience.rescue a baby sparrow this week . a sparrow couple built a nest in my balcony close to ac outdoor unit & layed eggs there. After a time of 2-3 weeks, one chick which was looking to have like fully grown..it was having feathers, size similar to other sparrow & it feel from the nest on chair..its mother was also sitting close to him & when i got close she started chirping on me. so i got away..few moments later i didn't found their child on chair or anywhere around there. I'm feeling sad..what could have happened whether it flyed with his/her mother or feel down. Can anyone tell what could have happened? Please.. I know this post is older but I just wanted to add some extra information. One year ago I found a featherless baby sparrow on the ground and raised it for around 7 weeks. I fed it dry cat food soaked in warm water until it was mushy. I eventually moved it into a bird cage where I hung it outside during the day so that it could hear the other birds chirping. 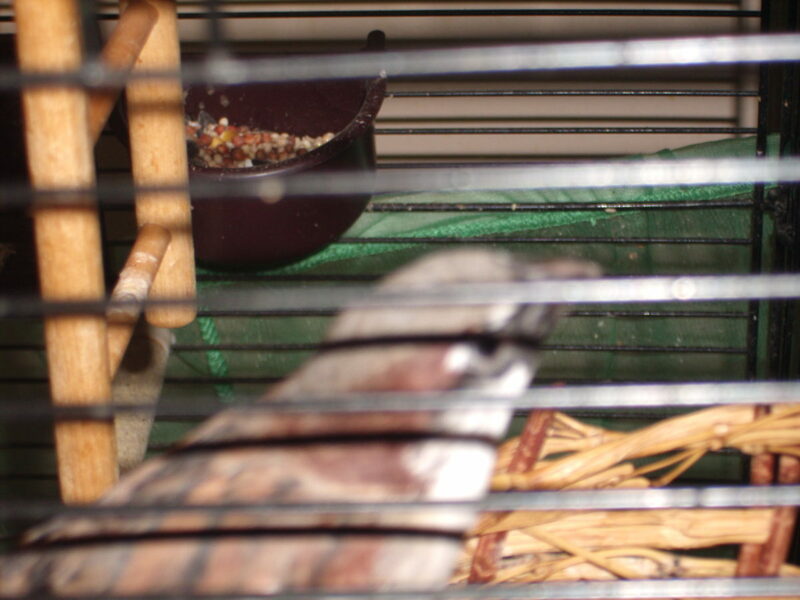 It learned to peck at dry bird food on the floor of the cage and eat blueberries. 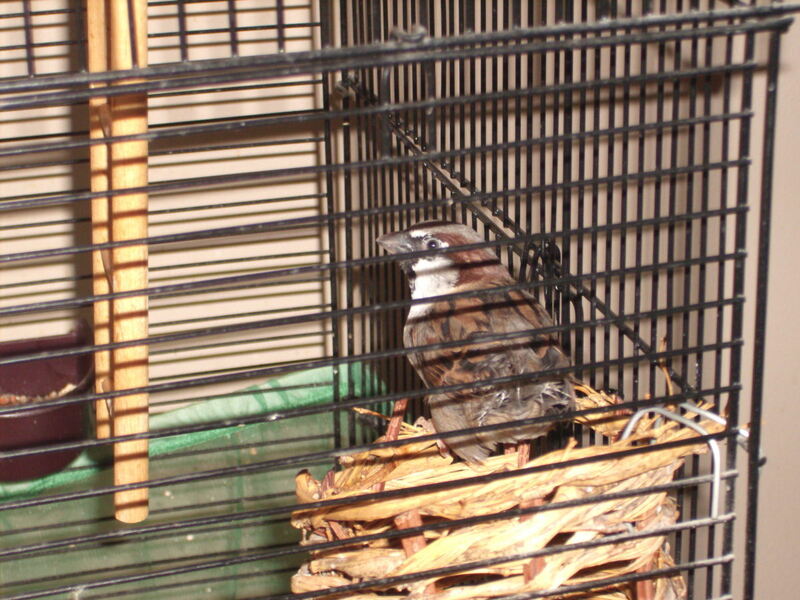 Also, it learned to fly and balance itself on the wooden dowels in the cage. I let it fly inside my screened porch for practice. 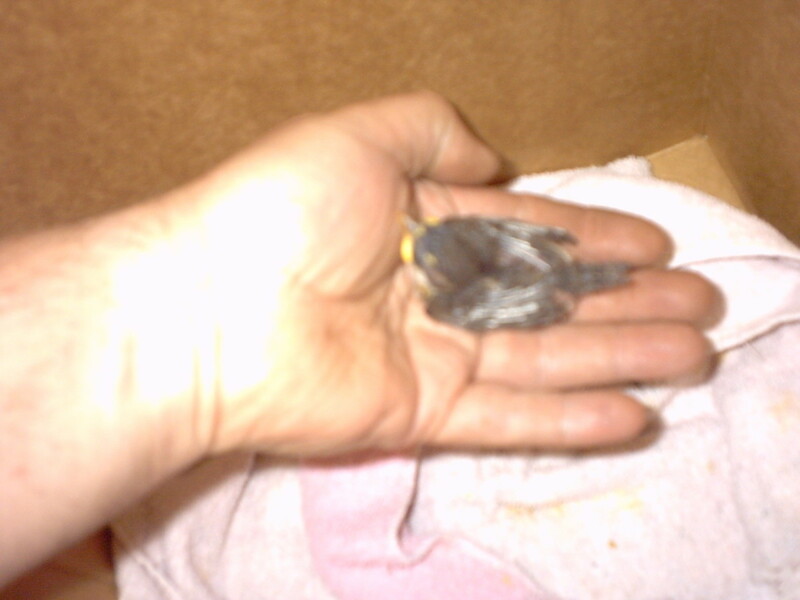 At about 6-7 weeks old I sat it on a low branch outside and after about 10 minutes it flew around the yard. It came back to me a couple of times and eventually flew away for good. I think it comes to our bird feeder now to eat because I can go near it and it is the only sparrow that sits there and eats while I am near. So I guess they can be let go back into the wild. today we found a baby sparrow and the others got beheaded by a skunk and we rescued this one. We are far far away from any store that has bird food and I need something to feed it until we go to town again do you have a recipe for a formula till then? I have gave it a small part of a strawberry and a tinny piece of bread with sugar water on it to where it not dripping... PLEASE HELP!!! i like it and all that iformation i like it and also im getting a wild baby sparrow 2 days from now so i need all the iformation i can get and also my friend Molly told me to keep it out of the water but if she drops the bird im going to have to jump into the pond and somehow ceach the bird but it will hurt alot to land in those rocks and stuff and also today we fed it bird food im not sure if thats what your soposed to feed it that but yah it didnt say and it was so cute because it is so young and when she asked it said cheep so its name is cheep but i call it bob i dont know what came from cheep to bob it just came out and its a good name in school we have a stuffed animal named bob and we pass it around the class and write about your adventure with bob i already got bob and it was on wednesday i wanted it on friday but yah(sigh)now Emily has bob and today is thursday well bye ive said too much so yah bye. I recently found a hatchling sparrow while working at a farm. It was on the ground and the only option was to pick it up so cows would not step on it. We have taken it home to try and raise it with the hope for release, but after reading this and a few other sources, we see that this may not be possible. We were wondering what you all feed your baby sparrows. We have tried a few different types of food, and the baby is thriving, but we are open to suggestions. thank you! hi i have been gone on vacation for a few days and when i came back i found a nest with four eggs in it along with a mother bird in the grass of my backyard. i am afarid it is going to get desortyed because of storms and that sort of thing. i have been researching about it and i think it is most likely to be a house sparrow. i am very determine to help the mother and her babies so please guide me though this. why do fledgings go bold underneath? Is it stess related? His(or her, not sure yet) name is Eagle Knievel! keep an close eye on your littlest as they need the shared warmth of the others. We had 5 until tonight when the littlest one went out of the nest and sat in the bottom of the cage. She got too cold, the kids called me at work and crying said we lost one...so sad. We had an appropriete funeral ( in the rain) and buried her in the garden way under some flowers so the cats wouldn't find her. I told David , my youngest that these things sometimes happen and we learn more each time. Good luck with your family. Sometimes I am not sure who is noisier..the 5 birds or my 7 children, but right now I'd say the birds are winning!! Hi there! Thank you for all of this great information! While my husband and I were jogging today, we came accross a little boy with 4 Sparrow neslings that had fallen from their nest. We just had alot of rain and the nest simply fell apart. The little boy desperatly wanted to take them home but his parents weren't there and I just didn't want to risk it, so I took them. I am digesting as much as I can about caring for these poor little babies and so far them seem to be doing great. Currently, they are sleeping soundly, warm, with full crops. I have experience with rescuing wild birds and know how difficult it is to find a shelter that will take them, especially at this age. But I am fully prepared for sleepless nights and hard work to care for them. They seem well so far. One is a little weaker than the rest but she's feeding and going to the bathroom so I'm hoping that's a good sign. Do you have any advice for me as a new mommy? Warning signs maybe, that they need medical attention? They seem to be getting stronger by the minute. Time to go! Feeding time again! Hi there, thank you for the info in this site! Some days ago I found a fallen nest with two house sparrow chicks. I made the "mistake" (now I know I'd better find a safe place where I found the best and leave it there) of bringing them how and I've been raising them since then. They are pretty much feathered, and ask for food every two hours or so. One is starting to show some signs of interest in seeds I offer them, but it doesn't really know what to do with them even when it eventually picks one up. And they fly! They eat a commercial food for chicks. Although it shows a parrot in the package I was told it would do fine with them. Now, my intentions were to release them when they're ready to go. Any ideas of what to do? We don't have a rehab center nearby. They can "talk" (sounds like they complain actually), but I don't know if that will be considered singing. Unfortunately we won't be able to keep them with our two cats around. And I don't really like birds in cages. Well, thanks a lot again. Thanks rmr, this hub really helped me last night to understanding how to care for the little guy!! Unfortunately, I am unable to find the nest, who knows where my cat found it! Dear Hassan, Welcome aboard ! I am glad to know you bought two sparrows ! Good luck and have fun with your new little pets ! Hi Dayna. It sounds like this little one might be a fledgling and it sounds hungry. Your main goal should be to keep it safe until the sun comes up and you can listen for other chirping birds nearby and look for a nest that he may have come from. For now, what you can do is hard-boil an egg. After it is cooked, peel it and mash it up. 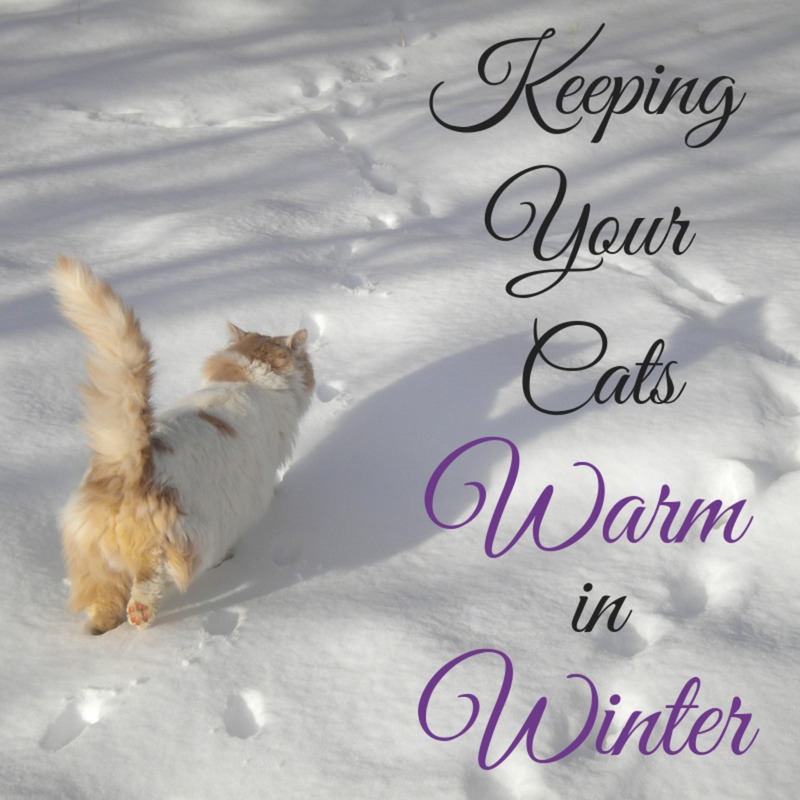 Mix it with a spoonful of wet cat food or dry cat food soaked in water until its soft. Use the soggy cat food and egg mixture to feed him. Typically a straw or coffee stir is used and he can peck it off of the end on his own. You are also going to want to locate a box that he can spend the night in. Line it with a towel, or something soft. Once daylight comes, hopefully you will be able to return him to his home. Good luck!! Help, my cat brought in a bird tonight (8:30 pm) of course on a Sunday nite!!! I tried to find a nest in my only tree but couldn't since it is dark. The bird has feathers, I am not sure if they are enough for flying,but he wobbled off my hand. What do I do for him now? he is opening his beak when I touch it. hi,everybody nice to meet U guys I got 2 sparrows yesterday one is green and one red (they are so cute). food:small bread crumbs and water make sure they sleep well if they don't they die ,just put a small box full of crumbs and one small box full of water make sure the cage U put in your sparrow must be a metal cage.ok now buy some sparrows and GOODBYE. I loved reading your post. It reminds me of all the birds I've had to save in the past. 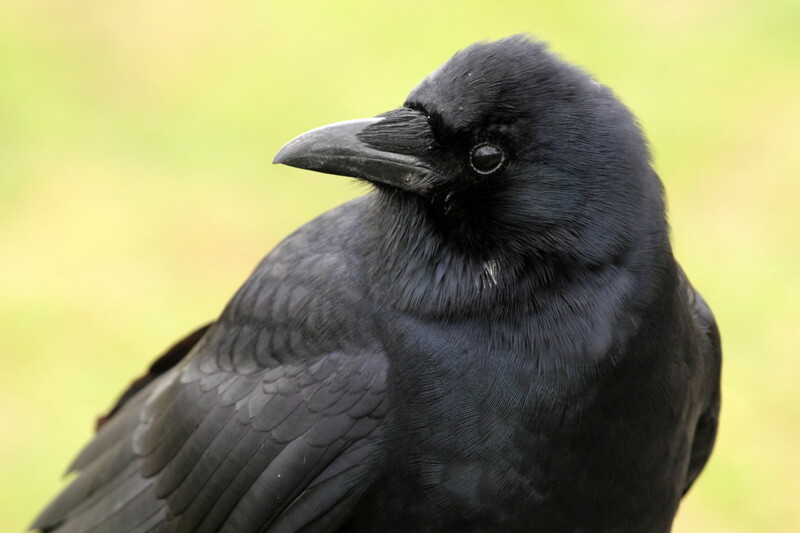 From crows we rehabilated and gave to shelters, to robins (Had 4 from a nest, cats had taken the nest down and then used the babies to get and kill the parents, tis was a sad day) we raised and released, along with bluebirds, and the wonderful sparrow who became a very good friend. I always like hearing that there are others who will save a sparrow since most shelters wont, at least where I grew up. Hi Aramis. If you found four eggs together, they probably came from the same nest. I'm sure all four will do fine together. The flight cage is perfect, but that will be somewhere in the future. Once they hatch, they'll need round the clock care. Even a small cage will be a few months in the future. Make sure you go back and read the entire hub again. There's a lot of important information there. I found your hub as I was doing research on house sparrows and I have a few really important questions I was hoping you could answer. First off my name is Amaris, and I found four house sparrow eggs in the student parking lot of my high school. I saw these boys standing in a circle around them and if I hadn't seen this commotion the eggs would have been stomped on and had a horrible premature death, so I had to save them. Regardless to the fact they were on the ground of a concrete high school parking lot. I'm known in my neighborhood as the animal girl, I've bottle fed and hatched a Starling before. Bottle fed 8 newborn kittens (who turned monstrous and rambunctious after having them for months before giving them to the humane society). I've saved ducklings. I've done it all. Leading to the point that I'm very responsible and determined to hatch these babies. My question was about raising them. I'm very sure they will hatch, and if I can get them to hatch I know they'll survive with my care. I wanted to keep 2, but I don't know how I can keep 2 and not manage to have the other 2 imprint on me also. So I might end up keeping all 4 siblings. I would have them in a flight cage, very large to give them their own space. Do you think this is right? I'm spending so much time and LOVE on these little eggs I'd be torn if they hatch and I can't keep them. SO MY QUESTION IS- how do you think four house sparrow siblings would do together? They seem like little finches but I know they are reported to be violent to other birds while nesting. Would they bond with each other and be mean to the other pair? As siblings? I'm squared away with my other information. I'm very smart, responsible, great owner. I just don't know these things since house sparrows typically aren't house pet birds and you and some others are the only people that domesticated them. Please give me any information you have, regarding if you think I could have the 4 together in a flight cage, and if you think they would bond as siblings. Any comments whatsoever would be appreciated. we lost our beloved cushey last night a aparrow i had found dieing at my work place, i brought her home and after a month of nurseing she recovered and we debated whether to free her or not as she had bocome part of our daily lives. Anyway we opened the patio door and i walked out with her on my shoulder(one of her favourite places} to our amazement she had a look and flew back in the house and into her cage. After this she was a regular to the garden with me but always flew back to her cage. One day while helping me clean the car she stared at me for what seemed ages and then with a chirp she was off and flew high into the trees opposite. We were distraught and that night i looked and looked all over the park where she had flown to but nothing. We convinced ourselves she was with her friends now free and where she belonged. After two night out was walking to the park when i saw some workmen chaseing a magpie they said that the magpie was trying to kill a sparrow. I could not beleive it there was cushey in a carpark trotting around the floor i called her and first chance i had i grabbed her took her home and she flew straight to her perch and slept not even the sound of her favourite seed and nuts would wake her. I phoned my wife and we were both so happy. I said this is crazy behaviour for a bird but she had got to us. She shared all our xmas days and always had a present. four years on and about a week ago we noticed she didnt seem well her eyes had a build up of crust and she was sleeping alot but still eating and drinking, then this morning my wife said she was gone, we cant do anything today just cry she was such a character and was so happy sleeping in a dressig gown pocket or wedged in any small crevice of a blanket. We will miss you cushey. I found an adult sparrow last day. I rescued her from a cat. She was not able to fly. I took her to home, fed her with water droplets and gave her boiled rice. I put her in a shoe box. I thought i would release her as soon as she is able to fly but sadly, she was dead before dawn today. I made sure there was enough space for fresh air to pass the shoe box. What should be done if i am again in such a situation? The death of that little innocent bird made me sad. Hi, thought of telling all that my rescued sparrow is doing better. 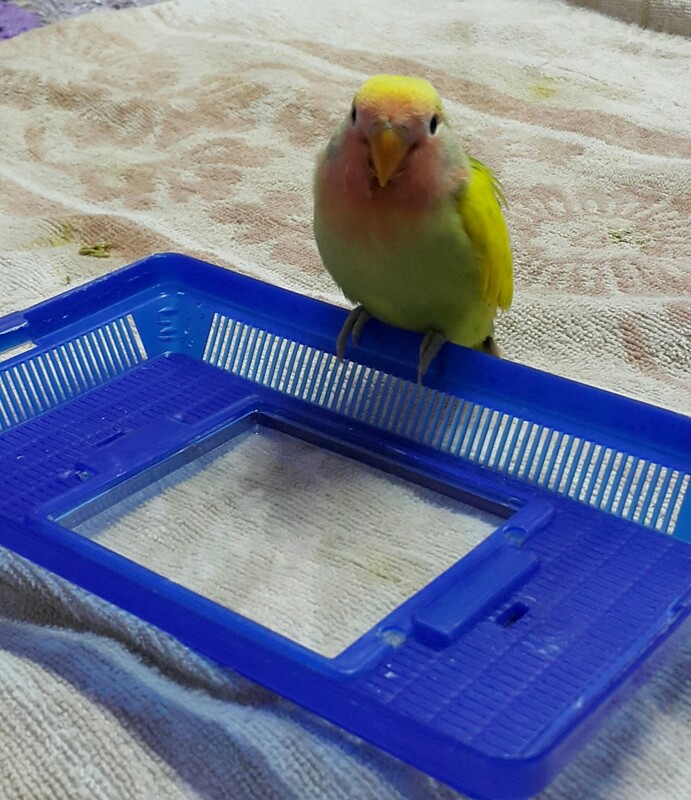 I now put him with other birds in the cage in the morning and bring him back in my room in the evening. He has started eating millet on his own, i make him lick honey as was told by the vet, asone day he was almost dead as i over did in making him fly, so he kept bumping on walls. But sad thing is that he has only one eye, it seems that he had got injured when the cat caught him as its his left wing that was injured and same side eye. But now his flight is smooth and no bumping, i hope he can soon become stronger and fly well so that i can release him, after the winters end. Do you think he would be able to fly well with one eye or i keep him in cage? Nice and useful hub. Thanks rmr. You've suggested leaving a baby bird without feathers alone and see if the mother would come and claim her nestling. I have never heard of or seen a bird being able to carry its chick (like cats or other mammals do) back to the nest. Hi, my baby sparrow has survived till today, and had become naughty too. But he eats only very soft boiled rice. He refused to take scrambled eggs and boiled minced meat. Its winters here so could not dig out earth worms, as perhaps they go deep down. My worry is that he still hops around and saw a bump under his left wing on his back, thats why his left wing is slightly raised and does not settle down. This might be preventing him to fly. I have to keep him in cage, and let him out when i am home and around him as i have a persian cat too. But i can see that he is not eating that enthusiaticaly any more. Please do guide what i need to do, we have no birds vet here in Islamabad, Pakistan. Typically they only eat from sunrise to sunset. He should sleep through the night. Thanks rmr, but its midnight here in Pakistan, and i have not heard him make any sound, I just now fed him a bit more wetting the rice more as read in the various comments above and he did take some. I do not have any heated pads but have kept his bedding warm. Do you think he would need feed during the night too. Hope he survives, thanks for your advice and love your forum. Sorry everyone, I was away for a while. It's so nice to see people helping each other out! Mahnaz, feeding times vary with age, so it's hard to say when he'll be hungry again. If you keep an eye out, you can bet he'll let you know. He may start crying out for food and, depending on his age, he will probably gape his beak. Hi, i rescued a baby sparrow today from my cat. He obviously fell from some nest and i caanot figure out which tree. He had slight injury near the beak,a few drops of blood but after i wiped them it stopped bleeding. Only one ey is open it has all feather but can just hop around. I have kept him warm, and have put him i a small basket with bedding. I fed him mashed boiled rice that he ate, about a max. half teaspoon size. Now he seems to be napping. When do i give his next feed? Wow, it's been a while since I've been here. It's hard to give advice in a legal situation. I know that where I live the birds are not protected under any laws, so I probably won't encounter that problem. The only thing I would do is find some way to keep him. It's so nice to hear that another little baby was saved! So, winter is here. The barn where I ride adopted two cats, so I'll have to be more watchful in the spring. They already caught an adult... It's scary to think about! These are great success stories. The birds must be very happy in the wild/ in their new homes. I'm from South Africa. Your baby is beautiful! Our sparrows here look a little different in color. Also truly beautiful! I found my baby sparrow upside down on the grass with red soldier ants attacking it. It rained the night before and he was trying to fight them off while "gaping". I think he was strugling to breathe because of the cold. I have no clue how old he was at the time, just know he was featherless. My guess would be that he was no older than 2 days. I cleaned him up and warmed him immediately. Because I only found him before I left for work, my only option was to take him with me. Needless to say that I ended up being late for work. Don't laugh, but I kept him in a small piece of cloth in my bra, where it would be warm. THANK YOU FOR YOUR USEFULL INFO, IT SAVED MY LITTLE ONE'S LIFE! I named mine "Mossie" - South African (Afrikaans) Translation of sparrow. I don’t know if it is a male or female, so I desided to just name him “mossie” (sparrow), as this would be a unisex name. How do you know what the gender is? I've only had him for 5 days now and I've grown so attached to the little thing. I know it is illegal here in SA to keep indigenous animals or birds without a permit, but if I left him outside, he would've become my 4 Dachshunds' new toy and I wouldn't be able to live with the guilt! I am terrified that someone would report me and have him taken away or that my hubby would expect me to take him to some sanctury (don’t know about one anyway). Anyway, we will se what happens... For now he will be very well cared for and loved dearly! Hopefully he will remain a member of my family (I think my husband is also getting attached to him...) :) I just wanted to thank you for your info! I have raised a female sparrow and she is imprinted. I do not care that having her is illegal. There are other things to be worried about instaed of someone keeping a wild imprinted bird. Give me a break, there are rapists, murderers, and child molesters to worry about. I say if you are able to save a wild creatures life, do it, it is not going to stop the world from turning! I found a baby sparrow in July and have been raising her as a pet (she imprinted). Her name is Birdie. I am wondering about her beak though as it seems to be growing quickly and I worry that she will not be able to eat. Any ideas? we loved the article,we have been raising 4 sparrows since my wife found them outside in the rain.they were just hatched bald and cold we took them in and now 2 and a half years later they are a big part of our family.but it is also a sad day today we lost one today we believe that she was old and ready to go we were told that the life span is usually 2 years she was 2 and a half.the other three are quiet now and are looking thiere age,but we will continue to love and care for them untill they are gone.we feed them at the table they sit on our laps and they have become a big part of our family.its just nice to know that there are others out there that believe like we do that they are all gods creatures.god bless and thanks for the stories. I posted awhile back when I found an injured Sparrow..almost dead actually, and I still have him and he's doing great! I'm wondering if I need to be doing anything special for him as we near colder weather? Thanks Keith/Nicole for the help/kind words and support. We all have to help each other here :) We have been having excellent progress with ours so far. We haven't had any other birds of its kind around unfortunately but it has been flying outside now tree to tree, staying out all day free, even taking baths in a bath we put outside. We still take it inside to sleep in a cage because I'm worried its on its own. It does cry when it sees us and flies to us to be fed when its outside, but started to pick a few times at food we left on the patio, so its coming along nicely! Now we just need some birds of its own around so it can figure things out. We've played its own sounds on the computer and it freaks out so it knows its own without even seeing them yet. Joyce and Nice Bird People- Since you both only have one bird chances are it is going to imprint on you and think that it is human and not a bird. If you are not prepared to keep it for a pet and can't find someone near you that would like to keep and take care of them I can only suggest as little contact as possible and if you have other sparrows in your yard or near by try to keep the bird outside if safe and allow them to see and hear the other sparrows. It is also important to try and give them the food they will be eating in the wild such as seed and worms. Most pet stores sell different types of worms like meal worms for the reptiles that the birds like. If your birds are sitting on their own and getting feathers then you could start putting a bowl of seed and water in with them while you are still hand feeding. The website www.starlingtalk.com has a receipe that is easy to make for them to eat and will give them the proper nutrition. I just recently set my three sparrows free after having them about a month and a half and I leave their cage outside hanging by the front door and I keep seed, water and worms in their and they still return everyday to eat but they sleep with the other sparrows and hopefully they will eventually start finding the food on their own. Good luck and thanks for taking care of God's little creatures. I found a baby bird alive after finding two others dead. We've had heavy rain and wind and I guess they got blown out or the mother got tired of trying to keep them dry. Anyway, I've had this sparrow, I think, for 4 days and it is eating egg yolk and blueberries??? It's pooping so things are moving along. I am concerned about it imprinting on me as we have cats and dogs in the house. It's wing feathers are growing rapidly, it tail feather is growing, and the feathers on its belly is filling in. it sits and flaps its wings. I live in a rural so no agencies close that care. Most say to let it go as it will not survive anyway. I do not want a long term pet. What to do??? Well it turns out we don't have a baby sparrow. I searched and searched until I found the picture online: it is a baby Cedar Waxwing! Good thing I was giving it some berries and grapes along with the bugs and worms! Saw a cedar waxwing on our honeysuckle bush eating the berries so now ours is getting the same. Tina~Well, it sure sounds like you have a full house there. We had a similar time in our lives where a friend once told their 2 yr old son that instead of going to the zoo, maybe they should just come over to our house instead. I understand exactly how you feel about all of your little animal discoveries. Perhaps the lovebird escaped and then heard how much fun your other animal friends were having and decided to stick around for a bit, figuring that you may not notice just one more animal. I'm not really familiar with lovebirds, but I recall hearing something about they may not want to be paired up with just any old lovebird. Just something to think about, and look into as I wouldn't want to cause sibling rivalry unnecessarily. Please do continue to update us as everyone enjoys hearing about fellow bird ownwers success stories. Well, a couple days after my last post they started flying! I had no idea they were even ready to fly until I picked one up and it flew away! I don't have a very big cage right now for them but once they are weaned and eating well on there own I plan on letting them test there wings around our sunroom. About a week after we found the sparrows a peach-faced love bird landed on our deck so we have been caring for him (or her)as well! The guy at petsmart told me to stop going into my backyard! I feel like snow white! Aside from these birds we also have a dog, two cats, a snake, fish and a hamster! Since we have every animal on the food chain I always tell people that if money get too tight we can let the animals all go and they can eat each other! LOL. Anyway, I am really hoping I can keep these guys and keep them happy. We have the cage they are in next to the cage for the lovebird and they seem to keep each other company. The lovebird is very demanding of our attention so we may get a mate if no one claims him. Anyway, I will keep posting my progress and keep checking on everyone elses! Well just to update everyone......we set our three little sparrows free this past Tuesday and it was very bittersweet. One flew quite far down the street then the other two went out together up into the tree with the other 50 or so wild sparrows so I wasn't sure if I would ever see them again. Well by evening they were hungry and looking for me and my wife to feed them some worms. Now two days into their freedom they fly back into their cage that I left outside and eat the seeds and drink the water and they will actually follow us around the yard and they chirp when they hear our voices. The will NOT however let us close the doors on the cage or come back in the house in that aspect they are acting like wild birds I just believe they have not figured out how or where to find the food and water outside in the wild. The flock of sparrows will travel around the neighborhood looking for food and our three just sit in the bush and wait for them to come back. I think the wild sparrows think these three are crazy flying over to us and sitting in our hands while we feed them. It is funny when you look up and see 10 other sparrows sitting on the roof of the house piering down with stares as I feed these little guys. They seem very happy out there and I look forward to seeing if they still remember us in a couple of months or when they start having babies of their own. Lia sorry to hear about Wally we had two of our five baby sparrows that did not make it and I always wonder if it was something that I was doing wrong but you also have to look at it like this. These birds were on the ground and surely not going to make it through the day and they would have died alone and really with no one even noticeing so we have given them more life than they would of had along with some love and attention. Regarding getting another bird.....I'm not sure if you can have dove's maybe I'm wrong though I believe the only wild birds you can keep are sparrows, starlings, and pigeons now maybe dove's fall into the pigeon category not sure. I would go with a cockatiel but you would need to keep it's wings clipped if you are taking him outside so he does not fly away. Thanks for everyone's help here on this hub I know these three sparrows benefited from it greatly and they thank you as well. hi there, thank you for your page :) we have been taking care of a baby bird since hurricane bill - it was actually upside down and dead-looking on a road and some little girls saw it was still moving a bit..they brought it to us to care for and so far so good. It is now up and crawling, jumping, squaking and eating every half hour or so. I'm a bit concerned now though after reading your blurb that it will imprint on us and we will have to keep it forever? I thought we could get it eating, get it flying (it is trying a bit already and eating like a horse) and release it in a few weeks or so? I don't know what kind of bird it is, it does have a fair bit of feathers, brownish/olivish, has a short little yellow rump feathers, pink beak and feet, some kind of sparrow I guess. We actually talked about maybe getting a bird eventually. We are currently doing some work on the house, and I want to finish that before we bring a new bird into our homes. However, I want to get a bird that I can take outside with me when I am puttering around the yard. I live in Massachusetts, so I don't think a parrot would be an appropriate bird. Maybe something like a dove? I figured there are many types of doves that would tolerate the weather changes here in new england, and I would like to have a little buddy again someday. Can you recommend any type of bird? also, I have a cat. I don't want the bird to be frightened by him. Any suggestions? Lia~I would have a very hard time believing that he would starve in that time frame. They don't typically eat from dusk til dawn even as baby-babies (in the wild), so I doubt that the time in that 8-9 hr period would impact him so severely. Not to take sides with the vets who gave you their infamous "I dunno." statement, it sounds just like one of those stupid, never-should've-happened, coincidental, no logical explanation, circumstances that sadly will leave you with unanswered questions about what happened and what you could have done differently. Although you may never be certain of exactly what happened, you can be certain of this......there wasn't anything more you could have possibly done for Wally to help him recuperate from his time spent in that parking lot. You gave him a wonderful home, lots of attention, and tons of love. I believe that it was because of these things that he did as well as he did for so long. You gave him the will to live and the strength to keep fighting. Please don't try to blame yourself for his passing, even though it's so incredibly easy to do. In times like this, we so often try to justify things which we can't understand, or that just don't make sense. We look for explanations in the unexplainable. You've done everything right, and still things didn't work out the way you had hoped. The thing you should not lose focus of is that you tried. I know this is of little consolation to you, but you did what many others wouldn't or didn't attempt to do. You changed Wally's life even if it was temporarily; you still made a difference. Not many people can honestly make that claim about themselves. I pray that these answers will help you find closure. Always, Debbie. Lia~I can guarantee he most definitely did NOT starve. We recently rescued a couple babies that had just hatched a day or two earlier. The smallest one was smaller than a nickel from the tip of his beak to his tail. The previous owner hadn't fed them for a few hrs. (ordinarily babies this small eat every 20 minutes), and we had a couple hr. drive back home. They were hungry but still alive. Wally would not have starved in that short period of time from when you left after lunch to when you returned home. As for the chemicals in the Windex affecting him, I would have a hard time believing that would have done it. Even if the spray was spritzed on the inside, if the bottle was held up high, the mist would have been very fine, and would have drifted upward. We've owned 10-gal fishtanks before, and they're relatively small if you're trying to do anything in the width of the tank. Putting a spray bottle directly in the tank would be difficult. If the Windex was sprayed in the tank with Wally right there in the tank as well, it might be a possibility that he inhaled the fumes in an enclosed area, and it may have been too much for him. If the cleaning took place between the time that you returned to work, and came back home again, and Wally was in the tank with the bottle while it was being sprayed, and then a solid lid was put over the tank to prevent ventilation, then I would say "maybe". However, if this was a normal cleaning and the Windex was sprayed onto a cloth and wiped down the inside, then I would not think this was the cause. 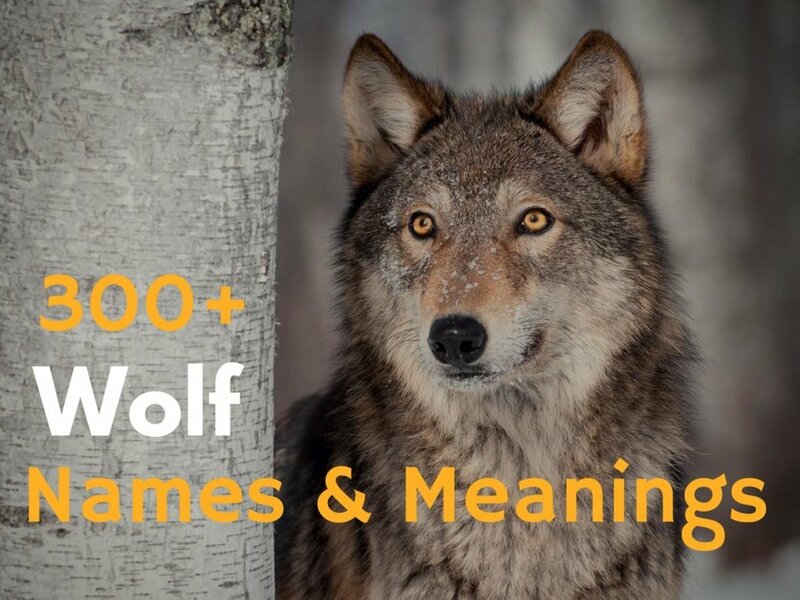 The odd thing is that a survival mechanism in animals has the tendency for them to not act wounded, or look ill. This would make them an easy target for predators. Quite often, some animals aren't feeling well with no signs of illness whatsoever. Their death appears spontaneous, when in all reality, it was brewing internally for a while. Being as Wally's life with you began under questionable circumstances, I'm far more inclined to believe that he may have had a run-in with a car, or taken a fall that he just couldn't couldn't recuperate from; but this mechanism made him appear as if he was fine. I'm not a professional; however I have read many postings as well as emails which have stated that people have great success with fish tanks as habitats for their little birds and using glass cleaners with them. I know that the barrage of unanswered questions with Wally's death will continue to bother you. I truly believe in my heart that he had just gone through too much before he came to live with you, and that he did a brilliant job of disguising it. I'm so sorry lia. You made his life happier than it could have been, and don't forget that. Lia~What a wonderful tribute for such a special friendship. That statue will forever represent the tremendous bond that he shared with you, and how much everyone's lives were changed by this one little bird; as well as your one significant act of kindness. It sounds as if the impact that he made in your life was as dramatic as the impact you had made on his. You were a true blessing to this little bird, and he loved you so much. I want you to understand that generally sparrows, once they are old enough to fly, have already been imprinted with their surroundings. It is such an enormous testiment to how much he loved you that he would sit on your shoulder. I have never heard of that happening with a bird that is older than a few days when they are rescued. Although his presence in your life was only for a short time, his memory will live on in your hearts forever. Bless you for caring so much--it changed this little guy's life while he was here. It is my hope that you find peace in his passing by knowing how much of a difference you made in his life. Take care. Lia~ I'm so sorry for your loss. I know how incredibly heart-wrenching it is when one of these little ones doesn't make it. It's my guess that you've done nothing wrong; since he was found in the Walgreen's parking lot, there's a chance that he was injured there and it was your wonderful care that sustained him longer than he ordinarily would have survived if left alone. It sounded like he had flying issues which may have been caused from an injury as well. Sparrows are a very delicate species to try to help. I've unfortunately heard many, many times over people who had their little birdies for several months and then one day, they've passed. I know this is of little consolation; and it in no way tames the stinging and emptiness in your heart. I want you to realize though, that you did a TREMENDOUS job with this little one. You made such an enormous difference in his life, just as he made in yours--don't ever forget that. You were his birdie mommy and he loved you a lot. Sadly, life isn't fair, and some things will never make sense. You had given him a happy, loving home; and he really became attached to you. You had given Wally something that many people spend their entire lives looking for--genuine love and acceptance. You were there for him when he needed you most; first when he was found in the parking lot, and again when he passed. Again, my sympathies are with you, and you will be in our thoughts. Thanks for the information Keith and Nicole! Yesterday I noticed he's starting to get bored with the dog food mixture recipe that I got off of the Starling page. He's still eating it but doesn't seem to be wanting it as much! He's starting to pick at the wet mixture that hits the bottom of the cage(once the food dries)so I figured maybe he would be able to start the seed. I will get to the store hopefully today and get some seed and try! As for the grapes and other snacks listed on the starling talk page is it ok to start that now (we are pretty sure when we found him he was at the most a day, if that, just by the way he looked so he's about 21days) or should I wait until he is completely weened? Thanks so much for this website RMR I have found this website very helpful! Thanks for jumping in there Keith and Nicole. I might also mention that ours absolutely loves grapes and watermelon. I pull a little of the skin off the grape to make it easier. He goes nuts for both, though. If he even sees a grape he starts yelling and jumping around the cage. ssecnirp24 in regards to the food. I know on starlinktalks website they mention feeding the same cat or dog food that you had been feeding but to try feeding it dry and crubled up and also feeding a hardboiled egg mixed with applesauce. I have tried all the above and our three did not take to it they really enjoy bird seed. I had been feeding them the seed that we had from our parakeets and also some wild bird seed that I feed the sparrows in the yard and I also mixed in some smashed up dry cat food for the protein. I did get from the pet store the other day a seed from Kaytee called Forti-diet Egg Cite which is a Finch food with Egg bits for protein which they love. All three of our birds quit eating the hand fed formula mush and would only eat the seed and meal worms about two to two and half weeks after we found them....they also love meal worms, I get them from the pet store as well. In the wild the sparrows in my yard will knock all of the seed out of the bird feeder and then eat it off of the ground and I see that our three birds like to do it as well. When I let them out of the cage they will eat all of the seed they sling out of the cage off of the card table that I have their cage on. Once they were eating seed I still would try to feed the wet cat or dog food mixture and they would nibble a little but eventually didn't want it anymore. When I say eventually I mean within a couple of days. I have found that with sparrows everything happens very quickly. We have only had ours for 4 weeks and 4 days and when we found them their eyes were closed and they had no feathers however within two weeks they were flying around and eating seeds give or take a day or two here or there. They also like the spray mullet for a treat. I know some say not to feed meal worms because of the hard shell but one funny thing I noticed with one of our sparrows is that he or she will actually squeeze out all of the insides of the worm and leave the outer casing on the first one or two then eat one or two more whole but none have had a problem with the mealworms. I had put a feeder dish with seeds in it while they were still eating the hand fed wet fomula and a couple days later I noticed two of the three wanted nothing to do with it anymore they only wanted the seeds. Ours love baths also. I put a plastic container of water in the bottom of the cage and they jump in and splash around. Our kids have brought in 2 baby squirrels now that still have their eyes closed so we are now feeding them puppy replacement milk but that is a another story for another forum. I would see what rmr has to say since he has had a sparrow for a number of years and would know what his drumstick likes to eat that is also healthy and giving him all of the nutrients he needs. Also read what they have to say at www.starlinktalk.com Our three are one day soon going to be set free so I am trying to keep their foods as close to what they would find in the wild. Good Luck! I have a quick question, Bacon is pecking around but when I put some of the wet dog food recipe down he has no clue that's what he's suppose to be eating he's only 20 days so I know its a little soon still but I was wondering what kind of seed to get for him to try with the dog food? He also had his first bath today....LOL It was so funny to watch! Hope everyone's little ones are doing well! Hi Tina. That's Great! I'm glad they're doing well. For our bird, we bought the largest cage possible, while making sure the bar spacing was no more than 1/2-3/4 inch (you don't want him getting his little head stuck in there). I'm not sure about housing for 2 sparrows, though. They may do fine in a cage similar to ours, if you let them out to fly around the house for a while each day. The best possible solution is to buy or build a flight cage for the back yard, but that can be costly. As far as injuries, his feathers get a little ragged at times, but they always smooth out or regrow. Cute names, by the way! I just wanted to add that even though they are not crows I named them Heckle and Jeckle. I posted a comment on your hub a few days ago regarding two baby sparrows I had found and wanted to update you. They are doing really well and have grown so fast! I was really worried about their chances and warned my kids not to get too attached. I contacted a wild life rescue organization and you will be happy to know that apparently it is not illegal to rehabilitate and keep sparrows. They said sparrows are kind of a "nuisance" to other birds. They also said that starlings and pigeons are okay to have. Anyway, I am wondering what kind of housing you are using for your sparrow as I do plan on keeping them. 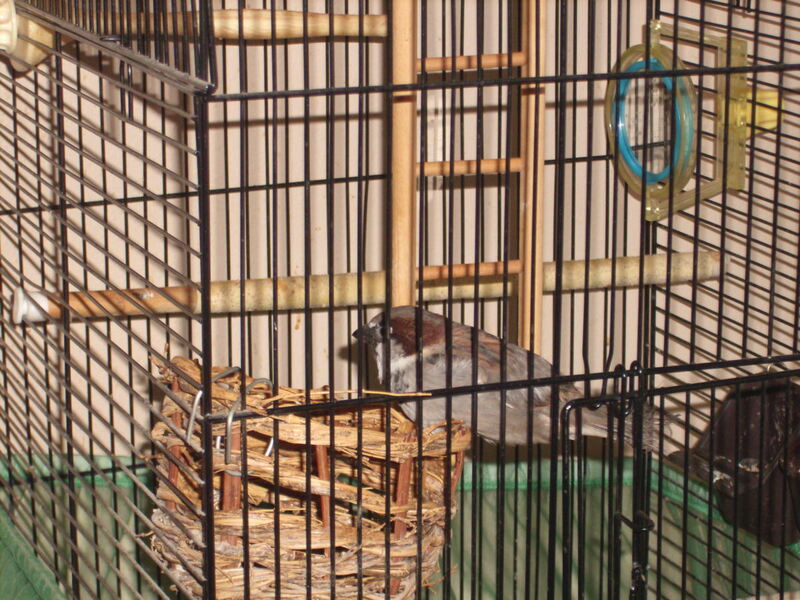 I purchased a bird cage but the woman I spoke with at the rescue org. said that sometimes they can injure themselves on the metal cages. Also, what size home do you recommend for two sparrows? Update on Bacon.....Wow can't believe how fast sparrows develop! The last three days have been nail biting for me, oh my! He has started to take flight, and not very gracefully! As I try to sit and watch without panicking he has flow into our Macaw, Ellwood's cage! Flow into the wall, into the floor (I think he was trying to land just did not do it smoothly, face plant) into the back of the couch, etc! I think he's gonna start to make me drink, lol! After all my hard work keeping this little Bacon Bit alive he's goes and tries to give me a heart attack! A few more days of these flying lessons and I'm gonna need a vacation from the stress, lol! I hope everyone's little ones are doing well also! I can't believe in just 15 days how much he has changed! AMAZING! It's still brand new, Laura. You can be the first to post! Wow. A lot of people have found this. I'm so glad people care about the baby birds! I have no news, on vacation in Florida. Yaaaaaaay new forum! I will check that out. Hi guys. I've been pretty busy lately, so it's good to see that you're helping each other out. If you still have questions, feel free to re-post them, and I'll get to them asap. I think I have it working now, but I'm still learning the system, so bear with me. thanks Keith and Nicole, I will keep up with the lessons then. He is starting to eat seeds on his own so we are feeding him the formula less and less, so that is good. I am going to look into a cage for him soon too because he needs more room to fly. Thanks again. Tina and Lia-----Lia if in fact he is a month old he should be able to start learning to fly and should be getting pretty good at it quick. The three sparrows that we found on July 21st are now about four weeks old and I am figuring they were a already a couple days old when we found them however they had no feathers and their eyes were barely open. Now today they fly quite well and have been for about a week and a half or more in fact one of them had gotten out and was soaring up into some 20 foot tall palm trees. Right now I have them in the house and I let them out every day and they fly up to the ceiling fan and sit there. So Wally with some practice should be flying really well any day now. @Tina-- It sounds like you are doing all that you need to do to allow these little birds a really good chance at survival. When they are about two weeks old you should be able to put a small bowl of bird seed in the cage and they will eventually start eating it on their own. The general rule is that once they can eat seed and other things such as worms or crickets on their own and they can fly well they can be released. I would sugest everyone go to starlingtalk.com and read all the usful information they have. It applies to both sparrows and starlings for the most part and tells you what to feed and at what ages you can expect them to do certain things. Good Luck! My children brought me two baby sparrows three days ago. They had pin feathers on their wings but the rest of the body was bare and pink. I looked around for a nest or safe place to put them but was unable to find one. We have multiple stray cats around so of course I brought them inside. I have created quite a comfy home consisting of an aquarium, basket, hamster bedding and a heating pad. I purchased the exact hand feeding formula and have been feeding them 8-10 times during the day. My question is what chance do they have for survival and when should I attempt to release them back into the wild. Yes - In answer to your question. Male sparrows have dark or black and gray markings on their head with a mixture of dark brown. The sure sign is they have a black "bib" on the front of their chest - that is how I figured out mine was a male after about four months. 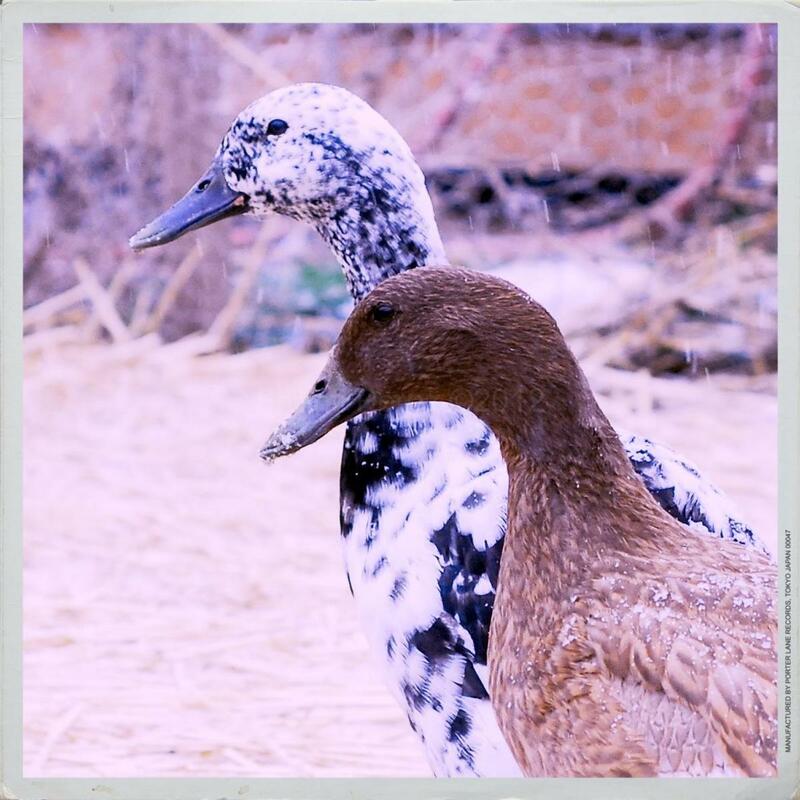 The females are usually much lighter, very light markings and no bib. Hope this helps! thank you - he seems to be eating fine - he still plays - he is rather ragged though. He looks "fluffy" in all areas except his wings and tail - noticed he lost another tail feather. If this continues, what should I do - he has done so well and had a real good appetite. I saw a thrush out in the yard the other day that looked like he had no feathers around his neck - anyway, I will watch and keep you posted. Thanks for the reply. Does anyone know how to tell the differnce between the male and female sparrow? Just Curious! Paula~It's wonderful to hear from you again. So glad to hear that Mr. Piggy is doing so well and is happily enjoying his position in your family. Drumstick is doing well; thank you for asking. I'm trying to recall a time when he molted to the point of losing his chest feathers. He has times of the year when he molts, and looks pretty raggedy before the next batch of feathers come in. I don't remember him suffering from sparrow pattern baldness, though. Drumstick's tail and what would be armpits (wingpits?) have gotten pretty scarce in the feather department several times to where I thought he might have the mange. It was very short-lived, and he didn't seem bothered by it. I have seen finches which are very close to sparrows look like they were cross-bred with a hairless bird. A couple of them maybe had 20 feathers on their entire body. I would be inclined to suggest that you keep an eye on him and see if his food intake begins to dwindle. This is typically a sign that there's something wrong. If all seems well otherwise, I would venture a guess that it's just molting time. Hi RMR - great picture. I always wondered what you might look like. Ok - you know you are my mentor. Still have Mr Piggy - he was a year old in June and he is a hoot. I believe he must be molting - he looks real shaggy and has lost most of the feathers on his chest in the last few days along with a couple of tail feathers. Remember - this time last year when he was just a baby, I messaged you on here because he lost all tail feathers and he looked terrible. He plays and seems to feel great - just need some reassurance here - how is Drumstick?? Look forward to hearing from you. Thanks for the info Keith and Nicole! He was only a day or maybe around 12 hours old when found! So his eyes were still closed, after I posted my question I found that he runs toward me when he is scared so he has definitely imprinted to us already even only being 8 days old now! I will not release him after seeing this he is starting with his own little personality also, which is cute to see. I put down a big towel yesterday to let him walk around on a flutter his wings and when ever he heard or seen something that startled he ran right toward me as to say help and started chirping until I picked him up. I am so happy he is doing so well and can't wait to see him continue to grow! ssecnirp24- Regarding bacon if he was only a day old when you found him that means his eyes would not have been opened yet and since you only have one bird that means he will imprint on you since there is nothing else for him to imprint on. So the big question is was it's eyes open when you found him. Either way my three sparrows would open their mouths and verbalize but it was always for food. It did not matter for one of them how much food he had in his crop (the bulge in the neck) he would still want more. Chances are since you have only one bird he is going to look to you for food and may not make it on its own. You will know as it gets older if it seems wild and wants to go or if is is content being with you. You don't however want to release it unless it is eating seed and bugs ot it's own that it would normaly be eating in the wild around your house. I have a question, our little Bacon is about 7-8 days old now (we've had him 7 days and he looked to be about a day or even a lil younger when found) he has been doing very well today I noticed when I try to go into his container to clean it up he is being very verbal like he's hungry but he's more so trying to be a big bird and let us know it's his home. Has anyone else experienced this? Is this a sign he's not imprinting to us? Does it mean that maybe he will be able to be released? I want to make sure I do the right thing for him! Thanks! I want to first start out by saying thank you so much for this forum! Last tuesday on the way out of Chic Fil A my boyfriend found a little peanut on the sidewalk baking! He looked all around and could not find a nest being the animal lover that he is he did not want the poor little thing to fry so he brought Bacon home(the box he came home in was a chicken sandwich box that was marked Bacon on the top,lol)After he fed him a couple drops of bird baby formula I started searching the web to find some info and came across starling talk and this site. Thank God I did! We made up the dog food recipe from starling talk and made a straw like a little scoop and our little birdie went to town. He looked so dehydrated, I read that Gatorade would help so we took a Qtip and wet it with the Gatorade and wet the sides of his beak. With in a few hours of feedings and the Gatorade he started doing better. I was fortunately able to stay with him 24/7 the first two days for round the clock tending to! (I think it was meant to be, he was found on the beginning of my two days off so he was able to get extra attention)Bacon is doing so well so far, I tried not to handle him at first because I honestly thought we would be able to help him grow and then be able to release him! Honestly I was sadden when I found out that he would not do well on his own in the wild. BUT,I am happy he is going to be a part of our strange little family though! I'm trying to give him more attention now and handle him so we too can have the fun and exciting moments that I've been reading about on here. I can't wait to see him grow more and more each day, hopefully more good news to come! Keith and Nicole: I loved what you said about God and the sparrow~I feel the same way. RMR: I am trying my darndess to teach Eva to talk! hahahaha, I came across a motion detection/mirror bird toy that is basically a mirror that you record a short 10 second voice clip. When the bird jumps in front of or on the mirror it starts talking. Eva is sooo amused. I had to work the first day she started using it and my husband said she was playing with it all day. He said she looked like she was trying to figure out where I was, was I behind the new yellow thing?? she's soo cute. Just had to share. D.
Thanks for the great tips. Your "wet-finger-in-the-seed" suggestion might just do the trick! Hello Robin, Just from our experience with the three sparrows we have and one being a little older than the other two. The older one will not eat off of the eye dropper any longer he only wants the seed that is in the tray and the worms we put in. He will eat the worms from our hand or from the bottom of the cage. The middle one will eat both the cat food and seed and youngest still wants the eye dropper but will also eat seed. The best thing to do is make sure that there is seed and water in the cage for them and maybe try putting your finger in the water dish and letting them drink it off of your finger and if you put your wet finger in the seed dish the seed will stick to it and they will eat the seed from your finger. They may just need you to show them that this is food. They will eventually no longer want the "baby" food that you had been feeding them. We rescued 2 baby house sparrows about two weeks ago. They have been growing well and thriving on high protein dog food which I ground to powder in my food processor and mixed with water to feed by syringe. They appear to have imprinted on each other. One escaped yesterday while my daugher was cleaning their nest box (outside). We were not able to find in after several hours because it would stop chirping everytime we got close to it, and we just could not find it in all the underbrush. Finally, I brought the other bird outside in its box, and lt nearby with the lid open just about an inch. The chirping of the bird in the box attracted the escaped bird, and an hour later, we found both babies back in the the box! Okay, so here's my question. The birds appeared to be a couple days apart in age when we first rescued them. We are guessin they are now about 3 - 4 weeks old. They are clearly able to perch and flutter their way from branch to branch, as we witnessed with the escaped bird, but they don't seem to be trying to feed themselves with the seeds and bugs we are leaving scattered in their box. Will they get the idea eventually if we keep doing what we are doing? When should we stop feeding them by syringe? And when will we know it's time to release them?